OUR CULTURE HAS BECOME OBSESSED WITH HUSTLING. As we struggle to keep up in a knowledge economy that never sleeps, we arm ourselves with life hacks, to-do lists, and an inbox-zero mentality, grasping at anything that will help us work faster, push harder, and produce more. There's just one problem: most of these solutions are making things worse. Creativity isn't produced on an assembly line, and endless hustle is ruining our mental and physical health while subtracting from our creative performance. Productivity and Creativity are not compatible; we are stuck between them, and like the opposite poles of a magnet, they are tearing us apart. When we're told to sleep more, meditate, and slow down, we nod our heads in agreement, yet seem incapable of applying this advice in our own lives. Why do we act against our creative best interests? WE HAVE FORGOTTEN HOW TO FLOAT. The answer lies in our history, culture, and biology. Instead of focusing on how we work, we must understand why we work--why we believe that what we do determines who we are. 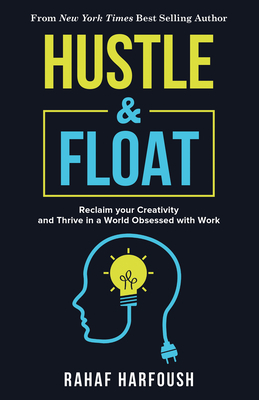 Hustle and Float explores how our work culture creates contradictions between what we think we want and what we actually need, and points the way to a more humane, more sustainable, and, yes, more creative, way of working and living.